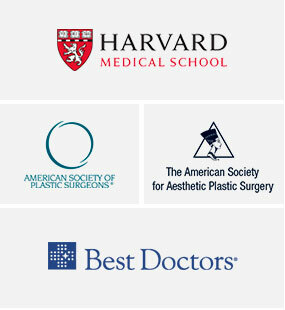 Dr. Concannon has been board certified in by the American Board of Plastic Surgery since 1997, and holds the certificate for Added Qualification for Surgery of the Hand. 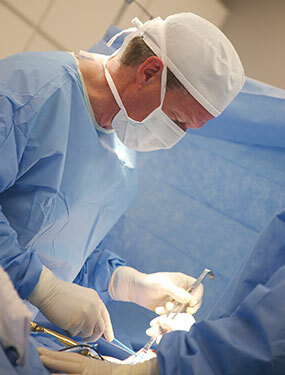 Dr. Concannon has been involved with plastic surgery research, education, and clinical excellence for over 25 years. He trained at and served on the faculty of Harvard Medical School. He has been selected by his peers as one of America’s Best Doctors since 2005. He is a member of multiple national plastic surgical organizations including the American Society of Plastic surgeons, the American Society for Aesthetic Plastic Surgery, the American College of Surgeons, the American Association of Plastic Surgeons, the American Society for Reconstructive Microsurgery, the American Society for Surgery of the Hand, the American Association for Hand Surgery, the Association of Academic Chairman of Plastic Surgery, and the Plastic Surgery Research Council. He is the past president of Missouri chapter of the American College surgeons, and served on the Board of Directors of the American Association for Hand Surgery. He currently serves on the Editorial Board as a Section Editor for the international journal: Plastic & Reconstructive Surgery. He has been selected to The Guide to America’s Top Plastic Surgeons, as well as Who’s Who in America; he was awarded the Outstanding Young Physician award by the University of Missouri medical alumni. He has received MU Health Care’s Outstanding Health Educator award, as well as numerous teaching awards for education regarding plastic surgery. He is the author of two textbooks, nine book chapters, and nearly 60 papers in peer-reviewed journals regarding plastic surgery. He has over 100 national and international presentations regarding original research and plastic surgery developments, presented to his surgeon peers at medical Society meetings”.